Launched in 1991, Comedy Central is one of the best and few remaining reasons that make cable subscriptions worth it. Owned by Viacom, Comedy Central has consistently hosted great original shows that have become part of popular culture, from Mystery Science Theater 3000 in its early years to South Park to The Daily Show to current hits like Broad City and many others along the way. 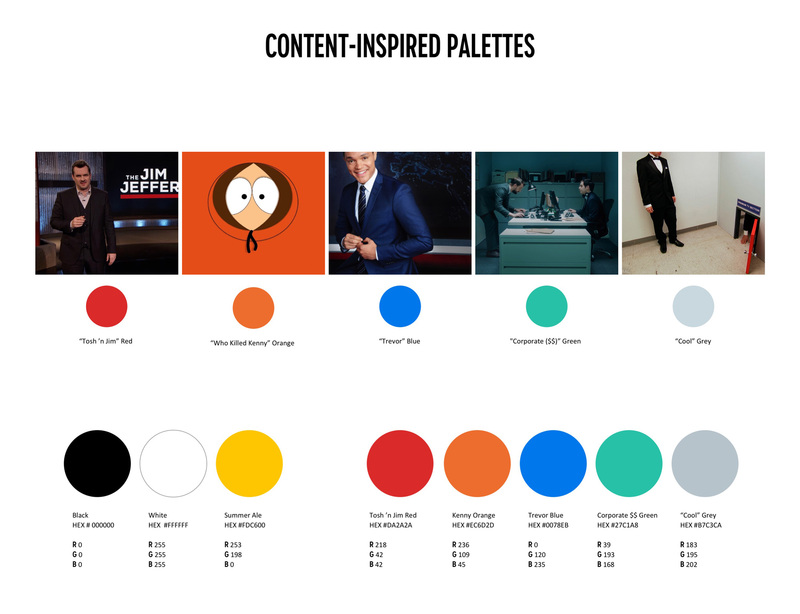 A combination of late night, sketch, scripted, and animated series combined with stand-up comedy, movies, and select syndicated reruns of sitcoms, Comedy Central is available to more than 300 million households in over 150 countries across the globe and offers nearly 4.7 billion videos (8 billion minutes of content) streamed across digital and social platforms. Over the last few months, the channel has been rolling out a new identity designed in collaboration between Comedy Central’s in-house team and New York, NY-based loyalkaspar. Elements from before and before-r used in new logo. We’ve streamlined and enhanced our logo to work more consistently across platforms. The bolder, more confident logo also works as a 2-part system: The C-Mark, which functions as a brand anchor and navigational cue, and the Word Mark, which can be treated like content, integrating with any show or editorial messaging. This redesign isn’t nearly as drastic as the one in 2010, which garnered over 200 comments and was probably one of the first major redesigns that adopted the heavy dose of minimalism that permeates today’s logo design, especially in contrast to the logo that preceded it. I liked the “Cc” logo then, I still like it now and I’m glad to see it has survived to see possibly another 10 years, most likely at least another 5. The old logo was also one of the first to use Brandon Grotesque, which was also introduced in 2010 and has since become a highly popular font choice. I liked how Brandon complemented the roundness of the monogram and had a nice openness to it. The new custom font is a combination of Brandon and the pre-2010 logo — one that maintains the low crossbars of Brandon but re-introduces a condensed structure. I don’t mind how it pairs with the monogram — it’s convincing enough — but as the custom type family becomes the central focus of the identity, while it’s not bad in any significant way, it’s not great in any significant way either. 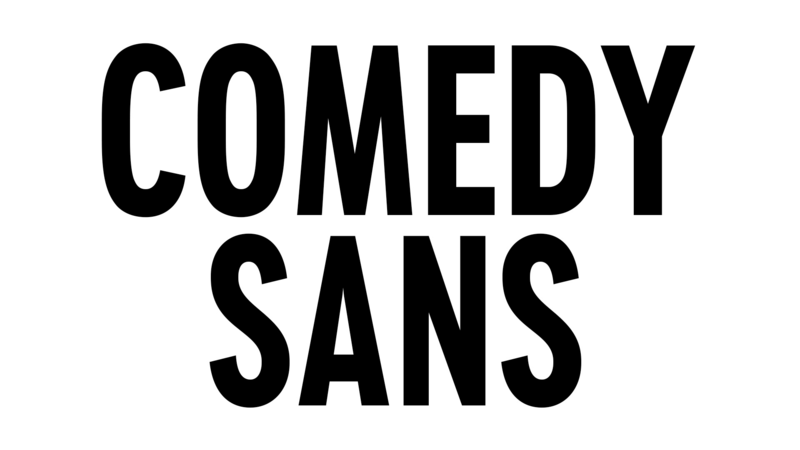 Introducing Comedy Sans! 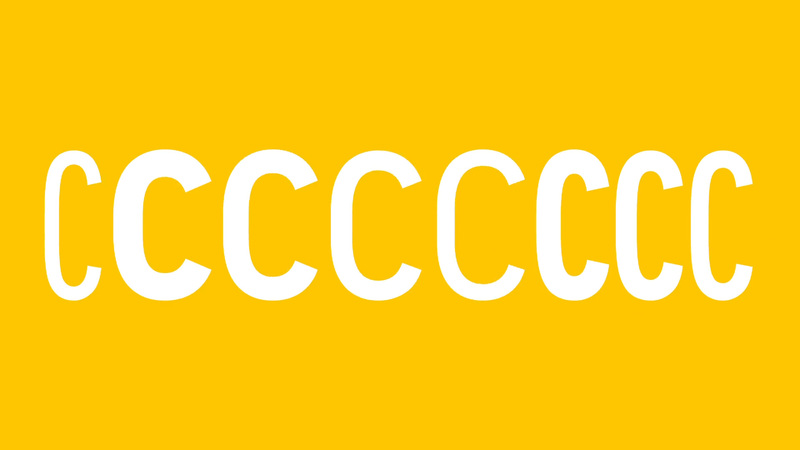 We have developed a custom font family, inspired by our updated logo, that is unique to Comedy Central. Comedy Sans is a bolder, more condensed family, optimized for editorial content creation across every platform. Having a custom font family will also help all of our internal and external presentations better reflect our brand and brand voice. The type family is not bad — although I really dislike the glimpses of it in lowercase — and there are a couple of weights and widths where it looks fairly good but all the personality that is promoted in the video above, I don’t quite see it. I do appreciate the effect it has — or well, will have — in helping brand the channel’s content, especially as its clips get passed around from platform to platform but with so many other channels going for a similar deadpan approach, this isn’t as distinctive as it might need to be. If anything, the yellow and black combo might be what helps it be recognizable more. Introducing Summer Ale, our new signature color that will help anchor our brand and our new navigation system. Summer Ale, in combination with black and white, provides a home base for our brand, while our full color palette includes a range of rich, jewel-toned colors that are inspired by our content. Drink responsibly! “Everything Is Content” is a challenge to make everything feel like content first. Branding and messaging are incredibly important, but should be applied with surgical precision, tailored to each platform and user experience. Simplified, concise language is an integral part of achieving this goal. The on-air look isn’t so much a look as a basic arrangement that is very flexible and allows any content and style to occupy its assigned areas but feels flat and like a watered-down version of 1980s and 1990s MTV when they use the Comedy Central wordmark in different styles. Sure, the system honors the content first with the backgrounds assigned to the talent and quick clips but there is something unsatisfying about it that leaves me wanting and expecting something more to happen. Overall, it’s not bad and it’s understandable that the channel needed not just a new system but one that was more easily expandable not just in the U.S. but across the world and this approach certainly meets those demands but given that Comedy Central tends to be a little more daring than other channels it would have been nice to see them push this a little further — maybe not to something that would yield 200+ heated comments again but one that would spark the more than 50 or so lukewarm comments this is likely to get. 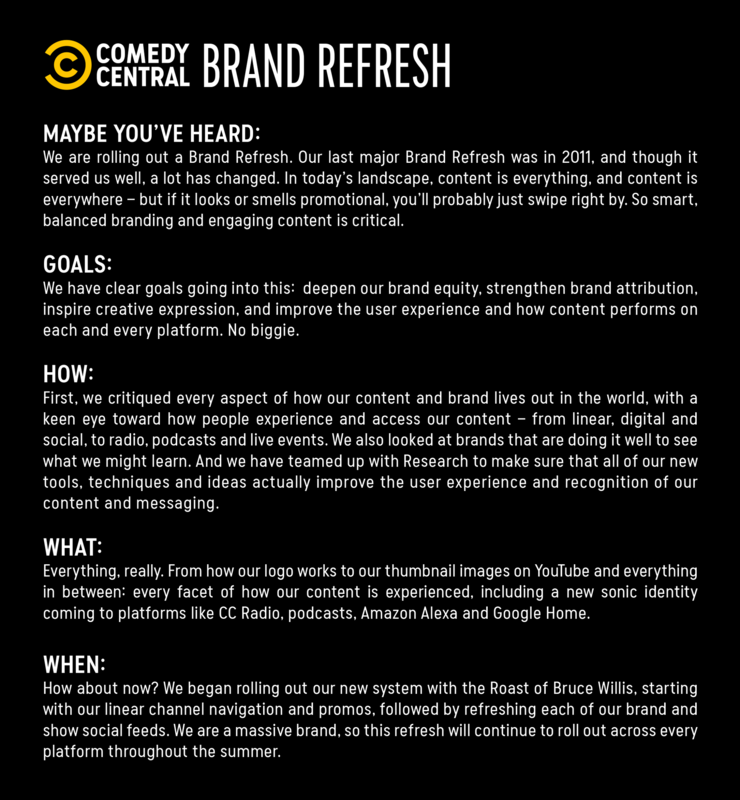 Launched in 1991, Comedy Central is one of the best and few remaining reasons that make cable subscriptions worth it. Owned by Viacom, Comedy Central has consistently hosted great original shows that have become part of popular culture, from Mystery Science Theater 3000 in its early years to South Park to The Daily Show to current hits like Broad City and many others along the way. A combination of late night, sketch, scripted, and animated series combined with stand-up comedy, movies, and select syndicated reruns of sitcoms, Comedy Central is available to more than 300 million households in over 150 countries across the globe and offers nearly 4.7 billion videos (8 billion minutes of content) streamed across digital and social platforms. 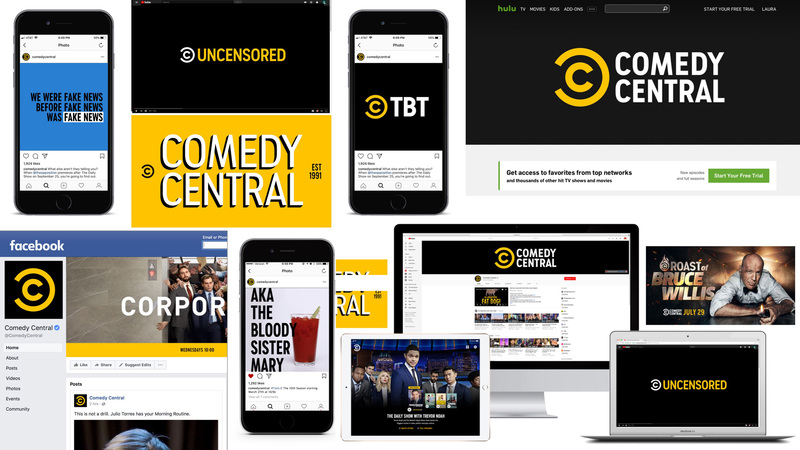 Over the last few months, the channel has been rolling out a new identity designed in collaboration between Comedy Central's in-house team and New York, NY-based loyalkaspar.